Adidas has a rich history of footwear production, with over 70 years experience, and an archive of styles running into the thousands. For this autumn the Adidas team set about resurrecting some of these classic styles, and the Archive Pack was born. The first drop includes four styles that have been lay away in the archive for some time, now brought back to life both in their true original form, and in updated colourways. 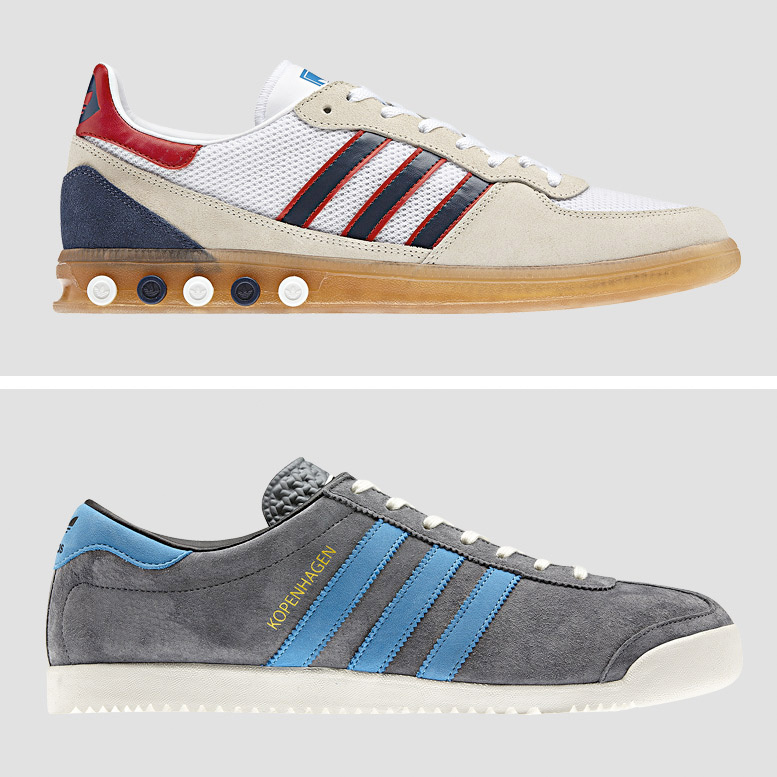 The first style to be resurrected is the Gazelle Indoor, a shoe that with its casual styling, bold colourways and trademark transparent sole unit has gathered an army of fans over the decades. 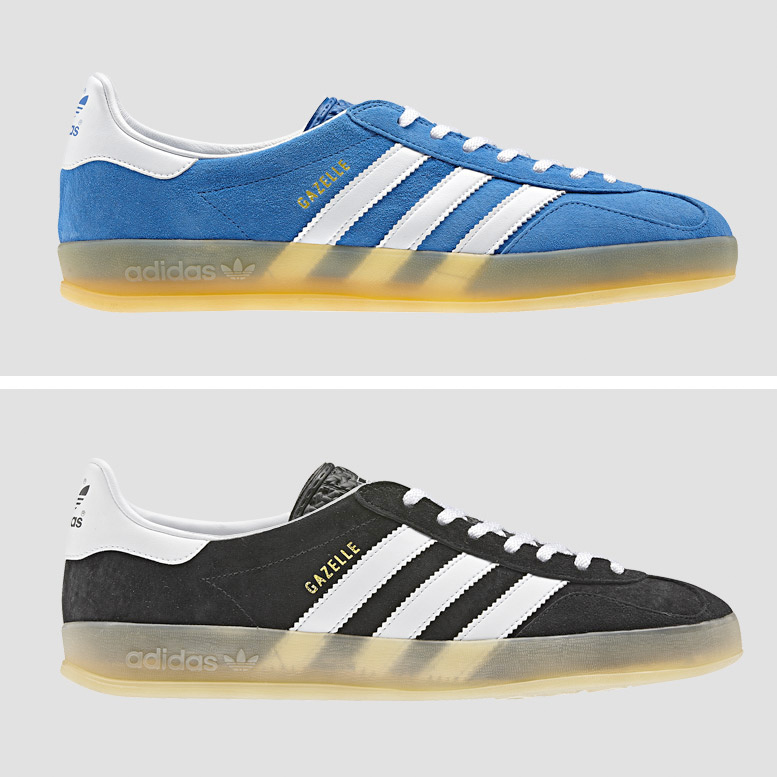 The Gazelle Indoor is back in its original Bluebird & White and Black & White colourways. The Legendary Kopenhagen also makes a come back. Originally part of the ‘City Series’, this casual classic has been updated in a stunning Medium Lead and Blue colourway, perfect for the start of the season. The final bring back of this initial drop is the Handball 5-Plug. The Handball is a truly iconic and unique Adidas style, with its lightweight mesh upper, transparent sole unit and 5-plug heel construction. The Handball is back in the original Bone & Navy colourway.